The biggest television event of the year for the US is over and of course hardly anyone is talking about the actual game. Simply because the 'Big Game' actually happened during the commercials. This year, the stakes for brands were higher than ever with 30 seconds of commercial air time being sold at a record breaking $4.5 million. In order to see whether the millions spent on commercials were in fact translated into social currency, we monitored Twitter mentions of the top brands that bought advertising time, correlating this data with the total amount each of them spent on commercial airtime. 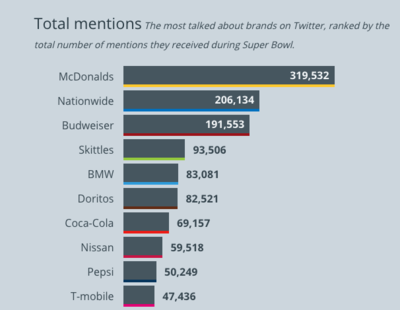 McDonalds was the big winner of the Super Bowl on Twitter with more than 319,000 mentions during the game which accounted for 27% out of the 1.2 million tweets mentioning brands during Super Bowl. 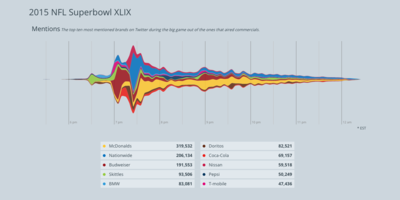 McDonald’s was a constant topic of conversation on Twitter throughout the game, reaching the highest peak of mentions around the second quarter. 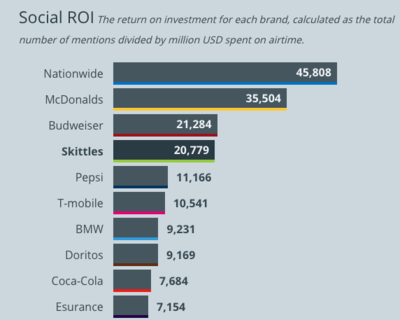 Nationwide was the second most mentioned brand on Twitter but did score the highest social return on investment with 45,808 points, leaving McDonalds in second place with 35,000 points despite the very high engagement the brand received. The reason is to be found in the investment on airtime with Nationwide spending $4.5 million and McDonald’s $9 million. their generous Twitter campaign. 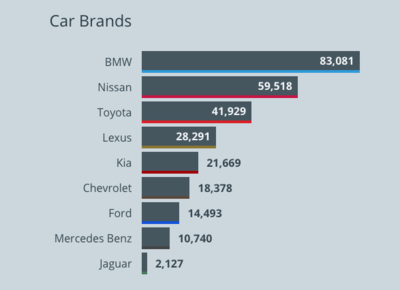 Last but not least, the automotive industry had the largest representation in the Super Bowl with BMW winning the Big Game on Twitter with 83,000 total mentions and a 9,231 social ROI score. Who Were The Big Advertising Winners at Super Bowl XLIX?